Do you have a budding dancer in your family? 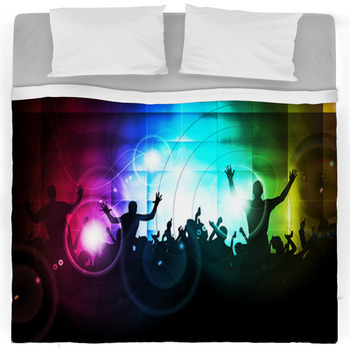 Whether she likes ballet, slow dancing, or something a bit faster and more modern, VisionBedding. 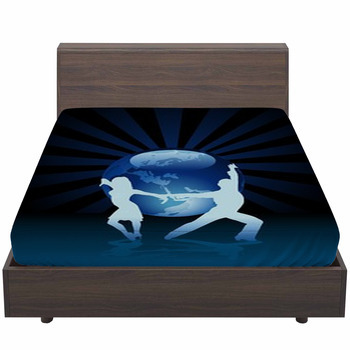 com dancer bedding will allow your dancer to express her dance fantasies in her own bedroom. Our custom bedding creates a wonderful look for your girl's room a look that is both elegant and fanciful. The light, beautiful colors usually associated with dancing lends itself well to the feminine colors in many young ladies' rooms. Pinks, light blues, pastels, all of these look great with an array of pirouetting subjects complementing them. 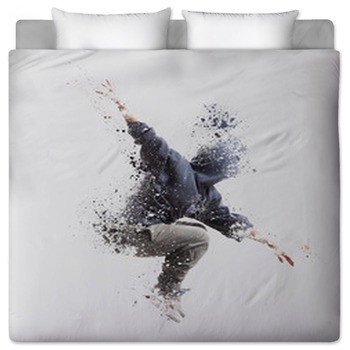 Your bedding set, in the form of duvet covers, sheets, and pillows, can feature dancers on point, contemporary dancers performing a mix of ballet and yoga, or cartoon ballerinas with tutus and crowns. 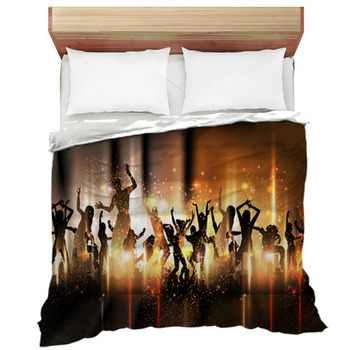 No matter what style you choose, it will all look just as amazing as the next dance design for your room decor. 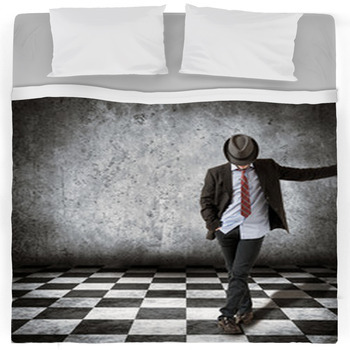 Fortunately, VisionBedding has made the creation of your own personalized bedding as simple as possible. 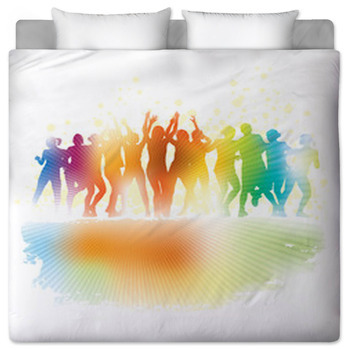 The perfect dancer bedding starts as you select a template or layout from several that VisionBedding offers. 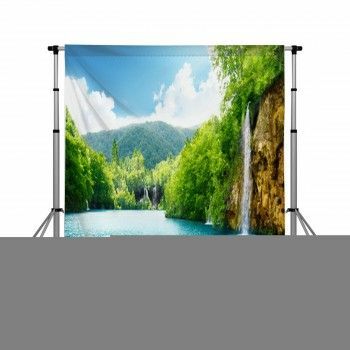 Most people find the most enjoyable part, though, is selecting the images for your bedding. You could use photos of your little one in her dance outfit, or perhaps pictures of famous dancers, or even dancing cartoons. Whether you use images from your own collection or from the huge VisionBedding library, dancing style bedding will become the center of attention of your little girl's bedroom. 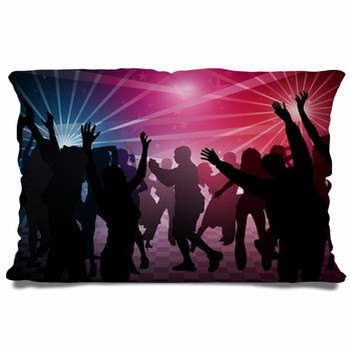 From tap dancing to line dancing, this decor will keep the rhythm going all night long. But you're not quite done yet. Next, include your own personalized message on the bedding. Maybe you want it to be an inspirational saying for the aspiring Swan Princess, or just a personal message to a great little girl. 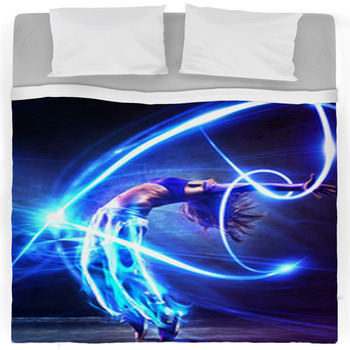 These and other ideas are possible for your dance themed bedding. Once the bed is adorned with our dancer bedding, it will turn the bedroom into a musical fairy tale that any girl is sure to love.